Just in case you were not fatigued by the never ending barrage of changes to President Obama's Health Law, California has passed a significant change that will certainly make employers' heads spin - again. 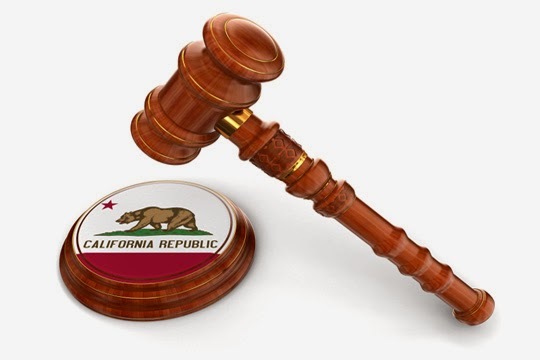 A year and a half ago, California decided that the 90-day waiting period limit imposed by PPACA (further explained here) was too long and cut that period to 60 days via a series of confusing state laws. We reported on that change here and again later here. Carriers (and therefore employers) scrambled to make sure that their waiting periods were either first of the month following 30 days or first of the month following one month to ensure they fell inside of 60 days. Some carriers even allowed a waiting period of 60-days-on-the-dot, but who really wants to administer partial month premiums and contributions? I've yet to come across that employer. In reading the codes, however, it is important to remember that the relevant code sections only apply to California's insurers. Therefore when the amended law states that a health plan "shall not impose any waiting or affiliation period," the law has been amended to tell California's HMOs and PPOs that they can't apply waiting periods. This frees up employers to set their waiting periods at whatever they deem appropriate as long as it complies with PPACA's 90-day (or maybe 90-days plus a month, more on that here) limit. The new law prohibits a carrier from imposing any waiting or affiliation period by deleting all references to waiting or affiliation period authorizations from existing law governing group health insurance. The law also clarifies that in California, employers may now simply default to the federal law on that matter and insurers are free to administer the employer's selected waiting period. During its debate and passage, this law was intended to become effective immediately upon signing. There has been a considerable amount of confusion as to the official effective date of the law as January 1, 2015 would be the typical date for laws enacted in this session. Practically speaking, whether this became law upon its signing on August 15th or becomes effective on January 1, 2015 depends on your carrier's interpretation. And unfortunately, carriers are not handling this in a uniform fashion. [This] repeal left open the issue of whether carriers would hold employers renewing late in 2014 to the 60-day waiting period limit. At least with regard to small group coverage (2 to 50 employees), the answer to that question appears to be “yes” for two major carriers in the state whose approach may be a bellwether for other carriers. They will not permit a 90-day eligibility waiting period on small group policies or HMO contracts that are renewed or first issued during the remainder of 2014. The permissible waiting period choices will be first of month following date of hire, or first of the month following 30 days from the date of hire. For small group policy renewals and new sales occurring on or after January 1, 2015, the carriers will permit waiting periods equal to 90 days from date of hire, first of month following date of hire, and first of month following 30 days from the date of hire. One of the carriers may also offer first of month following 60 days, but this is not yet certain. Another carrier will prorate premiums when the 91st day after hire falls in the middle of the month. If you wish to change your waiting period in light of this change, please contact your BB&T - Liberty Account Manager so that we may begin that process for you. So far we have had success in moving to first of the month following 60 days for groups in the large group market (even prior to January 1, 2015). * Note 2: the Effective Date portion of this article was updated on September 9, 2014 to reflect the confusion over the official date.